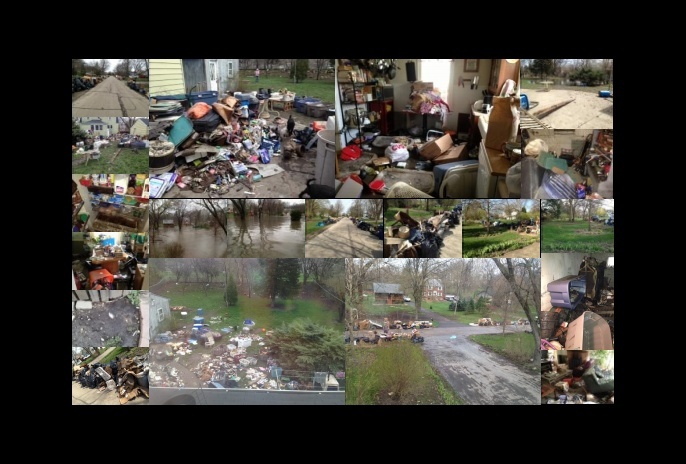 Hundreds of human reviewers across the globe, from Romania to Venezuela, listen to audio clips recorded from Amazon Echo speakers, usually without owners’ knowledge, Bloomberg reported last week. 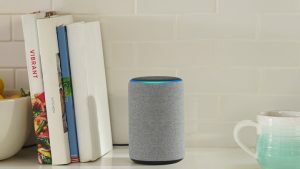 We knew Alexa was listening; now we know someone else is, too. Here’s the entire (scary) article from The Atlantic. 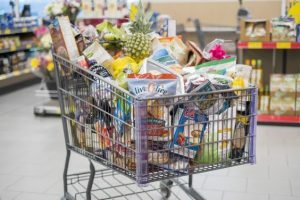 t’s not news to committed deal-seekers that you can often pay a lot less for your groceries by using coupons and shopping the sales at traditional grocery stores, as compared to paying deep discounters’ “everyday low prices”. 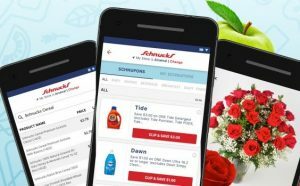 But discounters like ALDI and Lidl continue to make inroads among shoppers who have grown tired of clipping coupons and playing pricing games. 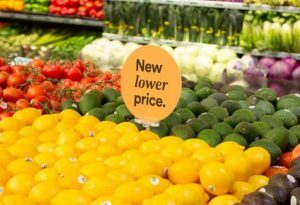 So what are the big grocery retailers to do – give up the games and just cut prices like their competitors do? A retail advisory firm says pricing games aren’t the problem, it’s how you play the game that matters. And in order to win the battle for your business, grocery stores need to get smarter about having the right prices, on the right products, at the right time, for the right customers. Coupons in the News article here. 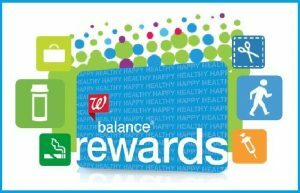 It’s not exactly a corporate mea culpa or a public plea for forgiveness, but Walgreens appears to be acknowledging that changes to its Balance Rewards loyalty program late last year didn’t go over well. So it’s rolling back some of those changes – not quite returning the program back to the way it was, but making it much better than it is now. Here’s the entire Coupons in the News article. To shop or not to shop: the Whole Foods ? Unless you really, really need mixed-medley cherry tomatoes, organic bunched rainbow chard or sustainable wild-caught halibut – and you need it now – you might want to wait until tomorrow to head to Whole Foods. 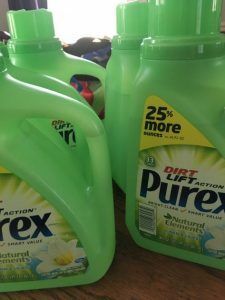 Those items, and hundreds of others that may be more likely to actually appear on your grocery shopping list, will be getting new price tags overnight. Amazon-owned Whole Foods is unveiling new long-term lower prices on about 500 items effective Wednesday, in what it calls its third and largest round of storewide price cuts since Amazon acquired the grocery chain nearly two years ago. Amazon Prime members will get access to even more savings, while non-Prime members will be enticed to join with a $10 off a $20 purchase coupon (available here on Wednesday). Coupons in the News article here. Remember that “clip all” button? If you remember when digital coupons first started becoming commonplace, many stores used to have a “clip all” button on their digital coupon page. No need to browse through all of the offers, just clip them all without even looking at them, and enjoy whatever discounts happen to apply to your purchases! But those “clip all” buttons went away under pressure from brands, who didn’t want to squander their promotional dollars giving away discounts to shoppers who didn’t actively select them. And the coupon industry started going after anyone who tried to bring the “clip all” button back. Here’s the entire Coupons in the News article. 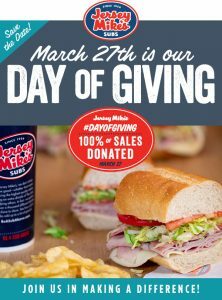 Jersey Mike’s will donate 100% of SALES to charity today. This is my favorite sub place – pricey, but that giant sub makes two extremely full meals and the taste is far and away the best of any chain out there.